A large Bull Moose wanders the water of Sprague Lake on a beautiful autumn morning in Rocky Mountain National Park. 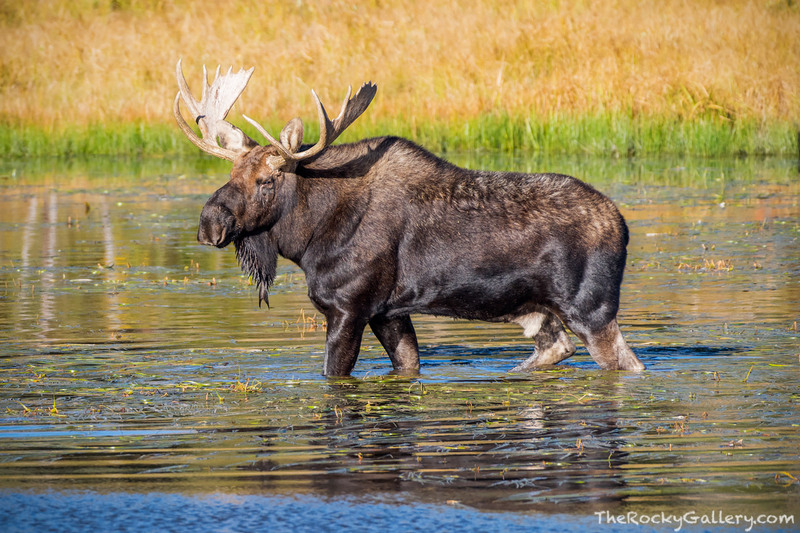 This Moose along with it's mate could often be found grazing the aquatic vegiation each morning and evening. Photo © copyright by Thomas Mangan.